Banbury. Oxon UK, 25th May 2016– Westmoreland Mechanical Testing & Research, Ltd. (WMT&R) would like to thank the attendees who visited the facility on Wednesday, 25th May. The 43 visitors included members of the Aluminium Federation (ALFED), Innoval Technology Ltd, and other industry experts and customers. Visitors and members of the groups and businesses have expertise and interest in Aluminium-related functions including manufacturing, suppliers, machining components, structural engineers, architects, designers, and consultants. The tour of the WMT&R facility was partnered with ALFED, Innoval special guest Professor Geoff Scamans, and WMT&R staff. The day’s festivities began with introductions, coffee and proceeded into presentations, tours, buffet lunch, and networking. The first of two presentation and Q&A sessions were from Innoval Technology Ltd, Professor Geoff Scamans, followed by WMT&R’s specialists Vinay Vaghela & Dr.Jonathan Chard. The visitors then proceeded into a comprehensive tour of the WMT&R’s test lab facilities, complete with testing demonstrations. The tour concluded with a buffet lunch, and refreshments, networking and one-on-one question and answer sessions. 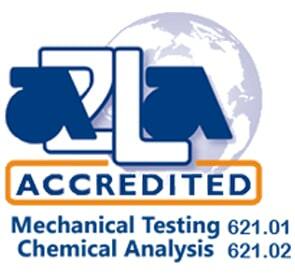 Westmoreland Mechanical Testing & Research, Inc. (WMT&R) is a world leader in materials testing. Founded in 1967, headquartered 40 miles east of Pittsburgh in Youngstown, Pennsylvania USA, WMT&R serves a broad range of industries including aerospace, automotive, medical, and nuclear. Westmoreland Mechanical Testing & Research is a recognised world leader in materials testing for the aerospace industry. The Company maintains Nadcap certification and A2LA 17025 accreditation, along with individual company approvals such as Boeing, Bell Aircraft, GE aviation, Honeywell, Rolls Royce, Lockheed Martin and Pratt & Whitney. 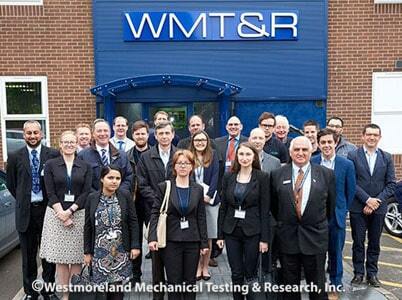 Our UK subsidiary, Westmoreland Mechanical Testing & Research, Ltd. 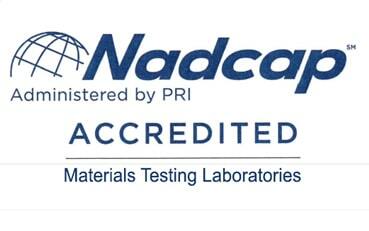 Hold Nadcap certification and UKAS ISO 17025 accreditation operates a full-service materials testing facility in Banbury, UK. Their facility equipment is housed in a 50,000 sq. ft. building, with Tensile, Fatigue, Metallography, Composites, Corrosion, and Heat Treatment laboratories. An additional machine-shop provides customers with material cut-up and test specimen manufacturing. For more information, please visit www.wmtr.co.uk, email salesuk@wmtr.com, or call +44 (0)1295 261211. The Aluminium Federation is the trade association that represents the interests of the UK Aluminium industry. Working closely with European Aluminium and the International Aluminium Institute, the Aluminium Federation acts as the point of contact between the Aluminium industry and its many stakeholders. Based in the UK's manufacturing heartland, ALFED works to expand the market for Aluminium products in the UK, and to promote the interests of its members. ALFED speaks on behalf of its members on relevant issues, and manages the All Party Parliamentary Group on Aluminium. ALFED welcomes new members who process or work with Aluminium. To learn more about the Aluminium Federation, please visit www.alfed.org.uk or call +44 (0)121 601 6363. Innoval Technology, part of Danieli Group, provides world-class independent expertise to the global aluminium industry. Innoval Technology delivers high quality CONSULTANCY AND TECHNICAL SUPPORT to investors, manufacturers and end-users of aluminium across a wide range of industry sectors. Their clients are rolling, extrusion, forging and finishing companies, and their suppliers and customers, throughout the world. Most of Innoval's Engineers and Scientists have been in the aluminium industry for over 20 years, and they have an abundance of product and process experience. The company's technical services are grouped into four areas: Process Improvement, Materials Development, Product and Process Training, Strategic Support and Best Practice. Innoval's Training portfolio includes the highly successful Aluminium Rolling Technology Course - this week-long training course is the only dedicated rolling course for the aluminium industry. To learn more about Innoval Technology and its parent company Danieli, please visit www.innovaltec.com.